Nigeria is a disaster-prone country. The frequency and intensity of disasters arising from extreme weather events, especially floods, have increased significantly in recent years (NEMA, 2013; Olokesusi et al., 2015; Gbadegesin et al., 2011 & Olorunfemi, 2008). In the last five years, Nigeria has been affected by several extreme flood events, which have resulted in devastation and economic damages worth billions of dollars. The National Emergency Management Agency (NEMA) disclosed that the comprehensive Post Disaster Needs Assessment conducted from November 2012 to March 2013 put the estimated combined value of damages and losses resulting from the 2012 flood disaster at $16.9bn. The disaster, which resulted in 363 deaths, affected seven million people, displaced 2.3 million others and damaged 597,476 houses (NEMA, 2013). Awareness of the need to establish early warning systems for natural hazards has been increasing, particularly since the 2004 Indian Ocean tsunami. Effective people-centred early warning systems are in great demand for several reasons: More extreme weather events are expected in future in Nigeria due to the projected impacts of climate change, rapidly expanding urbanization and increasing environmental degradation, all of which contribute to increase the number and scale of disasters. The objective of people-centred early warning systems is to empower individuals and communities exposed to hazards to act in sufficient time and in an appropriate manner to reduce the possibility of personal injury, loss of life and damage to property and the environment. Given these increasingly hazardous conditions, can an effective early warning system contribute to a significant reduction in flood disaster losses in Nigeria? In this article, we evaluate the effectiveness of existing early warnings systems for flood disasters based on forecasts by the Nigerian Meteorological Agency (NIMET). In order for education and outreach about the warning system to be effective, all of these components must be clearly defined, established, and exercised prior to an event. in which the study was conducted are same communities that the flood warnings were issued out to by NIMET and Lagos State government. These include Agiliti, Ajegunle and Owode Onirin, all in the northern part of Lagos along the Ogun River basin. In Ibadan, people were interviewed in Foko and Agbowo. Currently, there is no effective national early warning system in place for floods, either at the federal, state or local/community levels. While multiple agencies are making piecemeal efforts at setting up early warning systems, no systematic and automated process for developing and disseminating early warning information has been established. While NIMET provides weather forecasts and seasonal rainfall prediction, that data, along with information on existing risks, is not proactively distributed to national disaster risk and emergency management stakeholders. For example, state ministries do not receive these warnings directly from NIMET, but instead must actively search for information concerning possible weather-related risks from the NIMET public website and/or from the media. Generally, state and local governments have been slow or even reluctant to engage in early warning activities due to resource constraints, limited awareness and an absence of political will. Findings revealed that radio and newspapers are currently the major outlets for the dissemination of early warnings to the public. This appears to be a . A feedback on people’s understanding of these messages and their responses would improve overall preparedness for flooding and the management of the impacts. Except for in Lagos, the messages are often too general and not targeted at any specific local areas or communities. In Lagos, specific areas that would be affected by flooding are mentioned and the information on the need to relocate are repeatedly broadcasted. Warnings in the rest of the country tend to focus more on the volume of expected rainfall and are not accompanied by expert advice on what actions people should take. However, in the past two years this appears to be changing as information and communication to also focus on the need for people to relocate from flood prone areas during the raining season (March to October). In instances where people are advised to relocate from their present locations, no assistance is given to them to do this. In order to improve their response to flooding risks, NEMA has recently signed a memorandum of understanding with the National Orientation Agency and National Environmental Standards and Regulations Enforcements Agency for the management of flood disasters in the country. As a result, there has been an increase in the number of radio advertisements informing people on how they can help prevent floods and how to keep themselves safe during heavy rainfall events. These ads are broadcasted on federal, state and private radio and television stations across the country. They capture the attention of every strata of the populace as many of them are produced in local languages and engage the listener through short, dramatic presentations. In the state of Oyo, the ministry of information and orientation is working hand-in-hand with state media to disseminate early warning messages through jingles and drama on radio and television. An example of such television drama in Yoruba language is presented below. A man warning a woman not to dump refuse along river channel in a short TV commercial. Source: Broadcasting Corporation of Oyo State (BCOS), Ibadan, Nigeria. Hey!! Stop that!! Do not dump it! Why are you so stubborn? Look, you carried so much refuse, and you wanted to dump it in the river. We say you should not cause disaster to your life and property anymore. Do not drop or dump refuse into the river. Do not build any structures along river channels including houses, shops and restaurants which can cause flood disasters. Can’t you see .how the government has made everything neat and clean in the city? Government has made provision for waste disposal. Don’t you know the place? Now go back, take it back to where you are coming from, go back, the government also will not take it likely with you, we are telling you the truth, it is raining season. Please, don’t dump refuse on the path way of the river again. The respondents in the vulnerable communities were asked if they were aware of flood warnings issued when they were issued by the government. Results indicate that more than two-thirds of the respondents (77.2%) were aware of the flood warnings while about 22.8% indicated that there were not. Further analysis revealed a strong correlation between educational level and flood warning awareness. Respondents with higher educational qualifications were more aware of the flood warnings than respondents with lower educational qualifications. Specifically, about 85.2% and 69% of respondents with secondary and tertiary educational qualifications (respectively) were aware of the flood warnings. We sought to know the medium through which the respondents received their information. Results of the survey revealed that about 36% and 32% of the respondents got the information through the radio and people respectively while 20% and 9.0% got the information through television and newspaper respectively. Awareness of flood warnings is important, but more important still is the response of individuals to this information. The action taken by an individual to these events will determine the degree of impact suffered during the disaster. Hence, the study sought to know how individuals acted in response to the flood warnings. The majority (73.4%) of the respondents claimed that they did not make emergency plans in response to the warnings. Only 26.6% stated that they had made some preparations in anticipation of the flood. The lack of preparation of the people in essence defeated the purpose of the flood warning. During a focus group discussions session in Ajiliti neighbourhood, some of the discussants noted distrust in the government’s warning system, claiming that the government had less-than-honourable intentions. They also noted that the relocation camp opened by the government was “like a madhouse.” Others felt that the flooding was no cause for alarm, that it is a regular phenomenon in their community and that it will come and go, thus viewing relocation as unnecessary. Early warning systems can save many lives as long as they are centred on the needs of the people. This study revealed that these systems are not yet effective in Nigeria. We recommend the use of both modern and traditional means of communication as both are needed to ensure that early warnings get to the target audience on time and in an easy-to-comprehend manner. This will reduce the current heavy toll of flood disasters in the country. A realistic stance to reduce the toll of disasters in Nigeria requires a more comprehensive approach that encompasses both pre-disaster risk reduction and post-disaster recovery. This should be framed by new policies and institutional arrangements that support effective action. This will reduce the current gaps between the practice and principle of disaster risk reduction at the country level. Dr. Felix Olorunfemi is a Senior Research Fellow in the Social and Governance Policy Research Department at the Nigerian Institute of Social and Economic Research (NISER) in Ibadan, Nigeria. Dr. Femi Olokesusi is a Research Professor at NISER and Fellow of the Nigerian Institute of Town Planning. 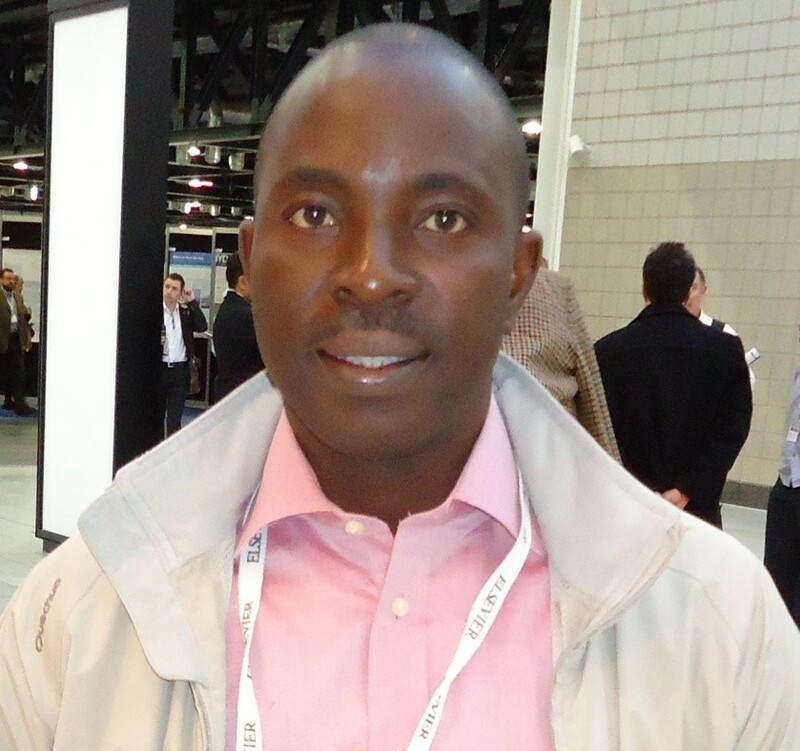 Dr. Andrew Onwuemele is a Senior Research Fellow at NISER.